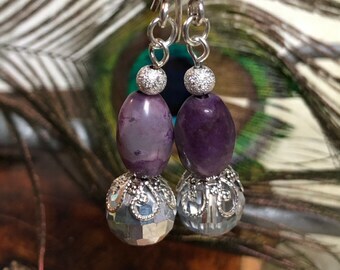 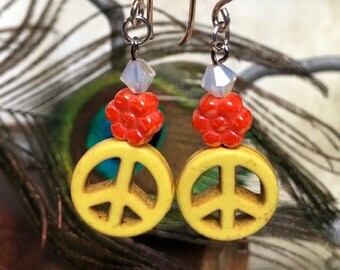 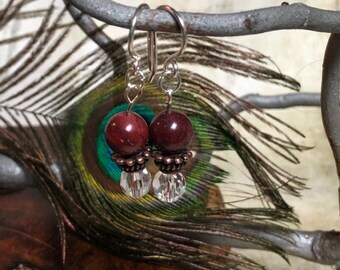 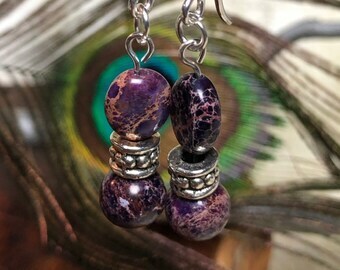 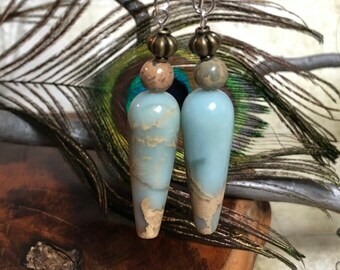 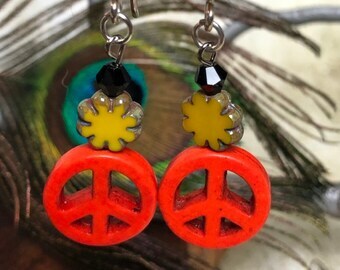 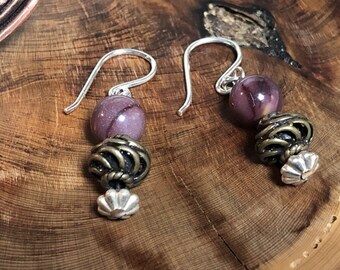 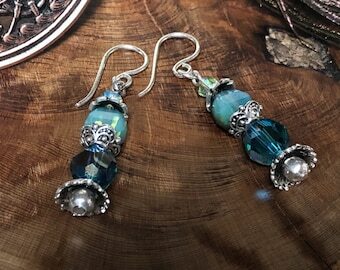 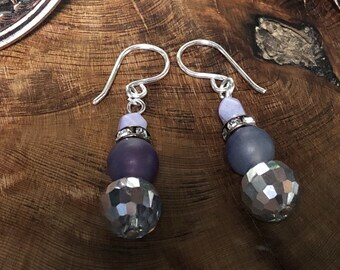 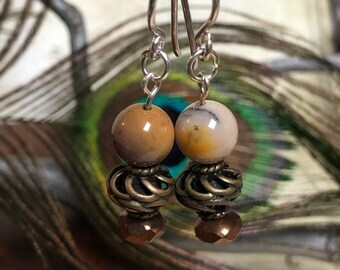 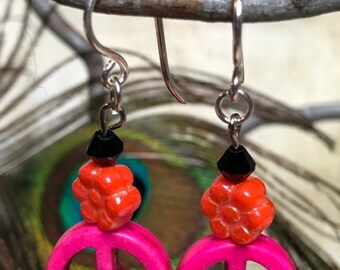 Groovy boho earrings are a perfect addition to any wardrobe. 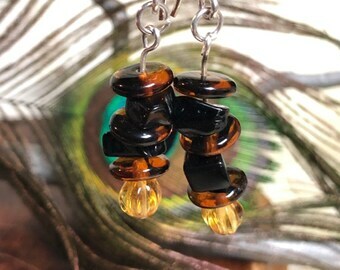 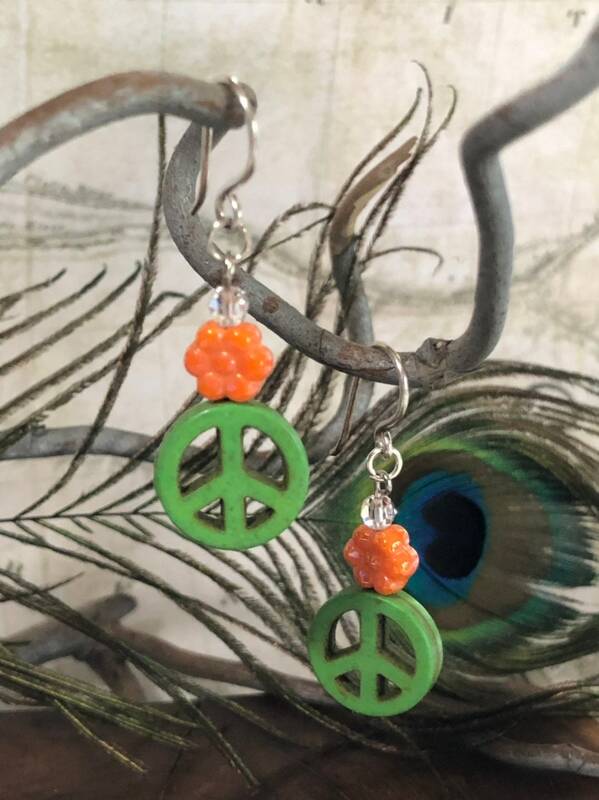 These gorgeous crystal beaded earrings feature an array of complimentary lime green and orange colors. 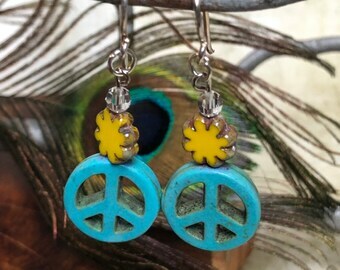 We used genuine semi precious dyed howlite peace sign beads, Czech beads and .999 silver fish back hooks in creating this design.